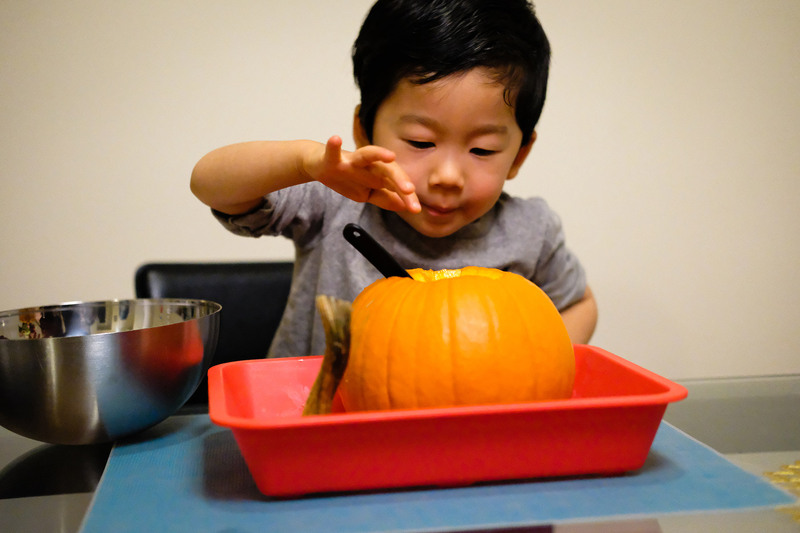 Pumpkin Volcano and Seeds - A Two in One Toddler Activity - Bash & Co. Happy November! 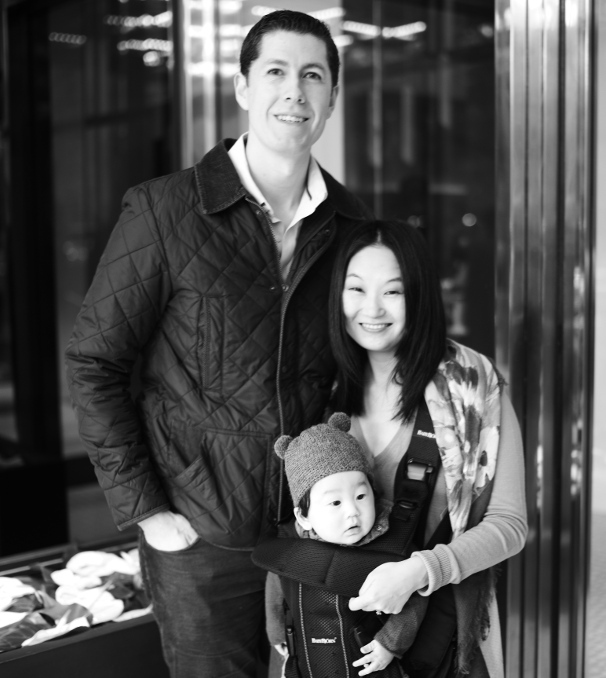 We had an amazing time trick-or-treating and ogling the spooktacular decorations at the Upper West Side neighborhood block parties, requiring the majority of today dedicated to recuperating from our Halloween hangover. I’m pretty sure we just created a candy monster as Bash now asks for candy every five seconds; he always used to reject cake and sweets and his favorite food used to be broccoli (and French fries, but hey, potatoes are vegetables, too!). But it was definitely worth it to see Bash shaking his hips all around town as Elvis! After ingesting last night’s haul, we got some crazy ideas and decided to retire our pumpkins in a fun and educational way. If you have any leftover pumpkins, I highly recommend putting them to good use and have your toddler help you make roasted pumpkin seeds and a pumpkin volcano! 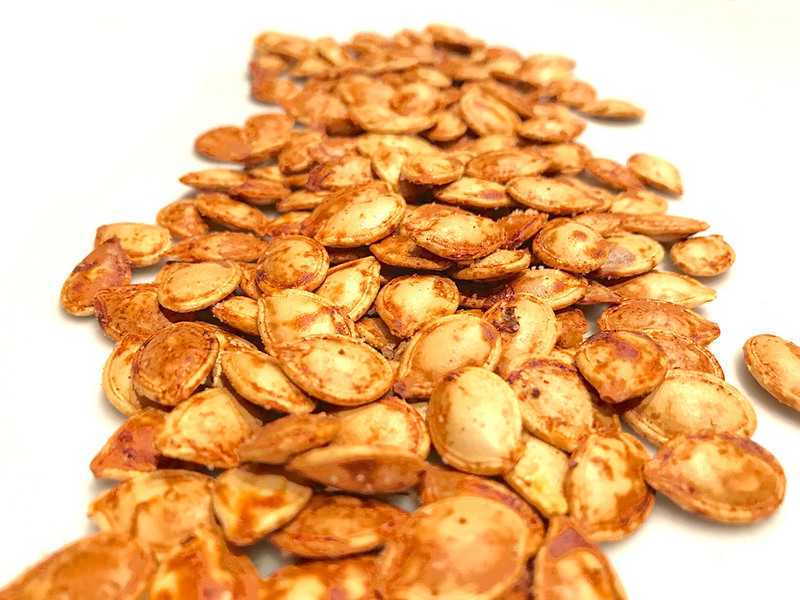 If you haven’t already made use of your pumpkin seeds after carving Jack-o-Lanterns, it’s worth it to dig into the pumpkin and have your toddler help you make roasted pumpkin seeds. We just cut off the top of the pumpkin and let Bash dive in. It’s not as messy as it sounds, but be prepared with a roll of paper towels just in case. 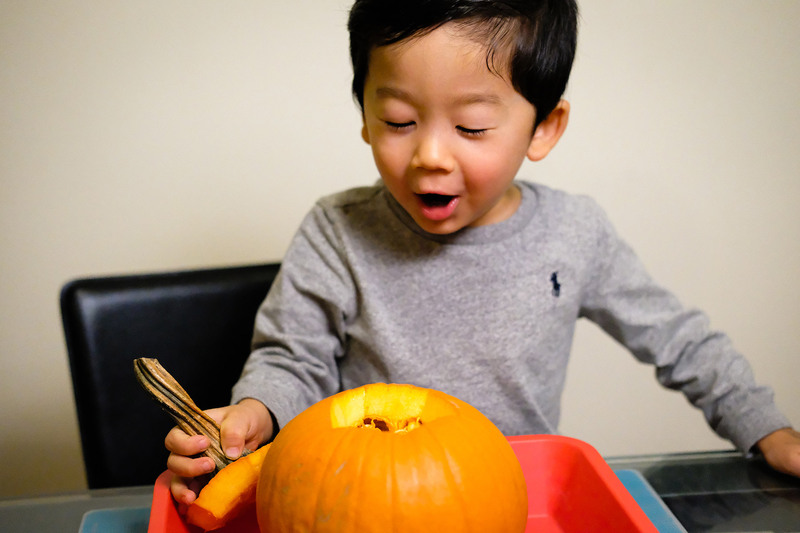 After scooping out some of the pumpkin guts, you could also put some in a plastic bag for a mess-free way for your toddler to squish to their heart’s content. While Bash was busy playing with the pumpkin guts, we started separating and cleaning the seeds. 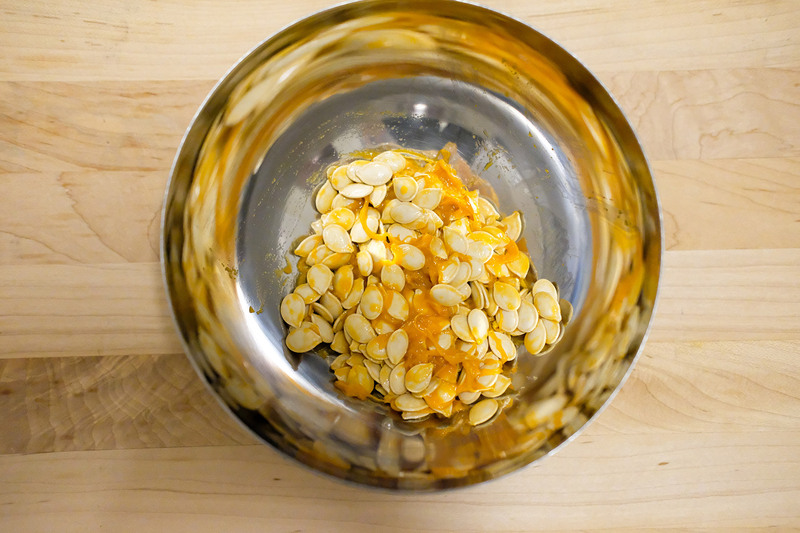 They don’t have to be completely clean, a little pumpkin on the seeds give them flavor. We let the seeds (about 1.5 cups’ worth) air dry for about an hour. Spread the remaining pumpkin seeds on a tray and drizzle about 2 tablespoons of olive oil (or butter) and sprinkle 2 teaspoons of sea salt. Bake for about 30 minutes or until toasted. To make sure the seeds are evenly toasted, give the tray a good shake about every 10 minutes. If you want to be adventurous, you can also use a variety of seasonings; try some garlic and parmesan, or smoked paprika, or cinnamon and sugar. You could always make a few batches with different seasonings for a taste-off! These got a little toasty in our new toaster oven…but that didn’t stop us from polishing them off! 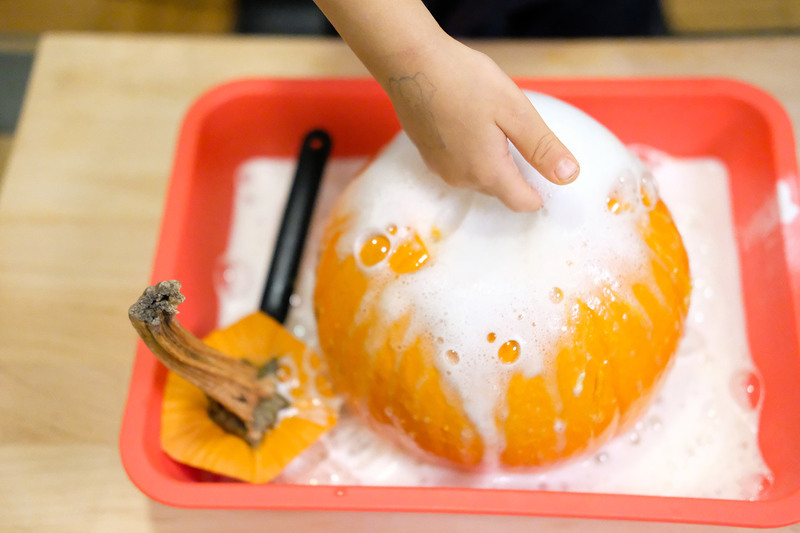 Set empty pumpkins in a tray to help contain the mess (or do this outside). Add a couple of tablespoons of baking soda to each pumpkin. Then squirt a few drops of dish soap. 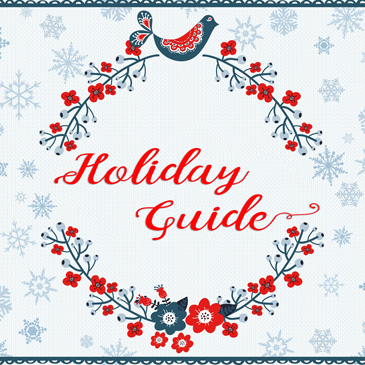 (Optional: add a couple of drops of food coloring – this makes it a little bit messier). 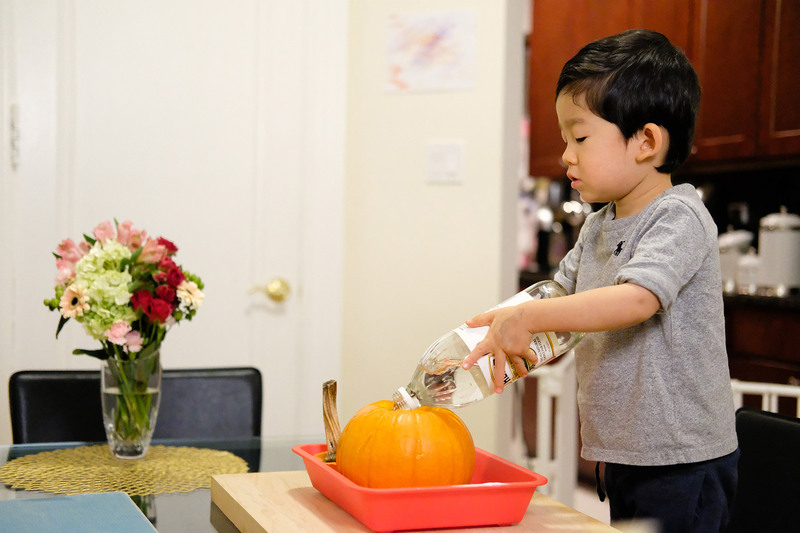 Pour in white vinegar (amount will depend on your pumpkin’s size) until the reaction starts. We gave Bash the bottle so of course he poured the entire bottle in. Enjoy watching your toddler erupt in delight! Don’t forget to try to plant the seeds of science by explaining how the chemical reaction works. 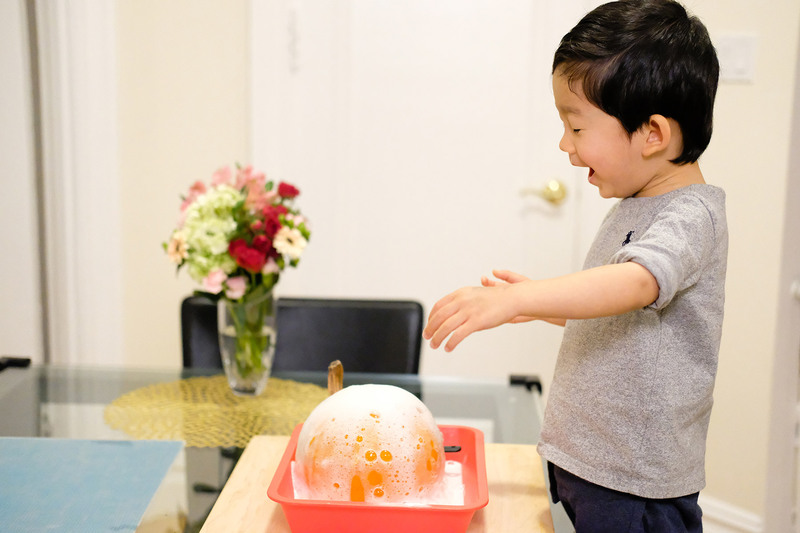 And, if you toddler screams for more pumpkin volcano, just rinse and repeat!